To help you find the Best Ancestry Services, TopConsumerReviews.com provides you with an in-depth One Great Family Review. Genealogy, or the study of family history and lines of descent, is second only to gardening in terms of its popularity in the United States. From TV shows like Finding Your Roots and Who Do You Think You Are?, to DNA testing kits that show an individual's unique genetic roots and relatives throughout the world, it's easy to see that learning about one's ancestry has captured the hearts and minds of millions of people. In the past, researching a family tree was an arduous, often lengthy process. Vital documents had to be requested from local, state, and federal governments, and sometimes required proof of kinship in order to be granted. Many of these requests came with significant fees, sometimes as much as $20 per document. One of the most common goals for people looking to explore their ancestry is to create a family tree, and One Great Family does that quite well. With a tagline of "the world's largest online family tree", it's no surprise that One Great Family specializes in helping people around the world connect with each other through the creation of family trees. One Great Family's online family tree service is different from those offered by other genealogy websites in several ways. First and foremost, much of what One Great Family does is automated, from identifying and eliminating duplicated data to searching for matches among different user-entered trees. When discrepancies are found, One Great Family highlights them and prompts the user to analyze the differences and makes suggestions for how to resolve them. Access to One Great Family's "world tree" costs $14.95 for a monthly plan, and customers have the option to choose the discounted quarterly ($29.95) or yearly ($79.95) plans. For an additional $70, yearly subscribers can access a one-hour consultation with a One Great Family genealogy specialist, to get personalized help with their specific tree. Prospective users can get a free 7-day trial, in order to determine if One Great Family's service will be a good fit for their genealogy needs. While we like the automated nature of One Great Family's family tree service, especially because it has the potential to save users a considerable amount of time when compiling their trees, we wonder if similar connections can be made using one of the other genealogy services in our reviews - ones that not only have the ability to create and share family trees, but also to access the kinds of documentation to substantiate the information entered in those trees (for example, birth certificates to prove birthdates and places, census records that show all of the members of a household). In that vein, we question whether or not One Great Family's trees might have the downside of perpetuating misinformation across multiple users trees; for example, if one user enters a mistaken death date and five other users agree with it, despite its being incorrect, that information could be accepted by multiple people without any connections to a source document to refute it. In summary, One Great Family offers a unique automated process to building one's family tree, and appears to do that quite well, but genealogy lovers may find a more robust package of services and information with one of the other providers in our review. Also, it was not uncommon for a request to go unfilled because the details provided by the requestor were incorrect - perhaps the individual was actually born in an adjacent county, or in a different year, or had a different name on his or her birth certificate. Further complicating matters, most people's family trees contain ancestors whose native language was not English, making it even more difficult to locate and request information. Fortunately, today's genealogy buff has access to an unprecedented amount of birth and death certificates, obituaries, census records, and other researchers' results, just to name a few. Genealogy services can help people find out more about their family history in a matter of minutes, rather than months or even years, through indexed records, broad databases, and even translations of vital documents from many different countries. Modern technology also allows genealogy buffs to take their research to the next level through DNA testing. Often with just a simple swab of the cheek or a vial of saliva, curious individuals can get scientific evidence of their roots, connect with people who have shared ancestors, even discover family traits that have been passed down for generations. Cost. How much will you need to pay to access the records and other information on the site? Are there monthly options, if you only need to find a few records, or discounts for yearly subscriptions? Variety of information available. What types of records does the site provide? Is it a wide range of governmental data (e.g. census, death certificates, etc. ), published information (e.g. obituaries and other newspaper articles), and family trees submitted by other users? Can the information the site provides be found for free on other websites? Family tree features. Does the service allow you to create your own family tree and easily link information you find on the site? Are you able to connect with other researchers interested in the same ancestral line? Can you add photos, stories, and other personal details to your family tree? 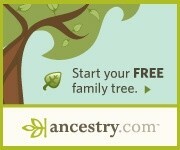 TopConsumerReviews.com has reviewed and ranked the best Genealogy Services available today. We hope these reviews help you find your ancestors and discover more about your own family tree today! Genealogy Products and Services Gaining Traction in Forensics Thereby Impacting Market Growth at 11.